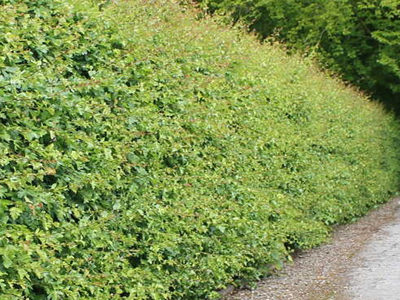 Whitethorn hedging (also known as Hawthorn) is a deciduous hedge that is mostly used in agricultural applications to provide field boundaries and to provide stock proof hedging. 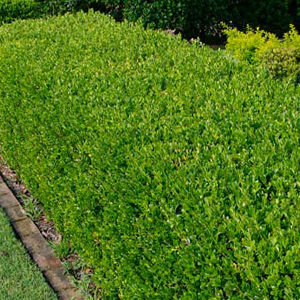 It can provide good privacy along roadside boundaries when planted thickly enough. 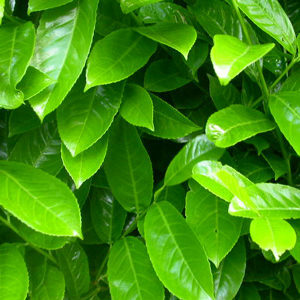 It has a small green leaf with white flowers in spring and clusters of red berries in the autumn. Its also very thorny.